If you needed any proof that we are living in an age of glory, I point your attention to the fact that "cyberpunk bartending" is now a genre of video game. I haven't yet played the title that kicked it off, VA-11 Hall-A, but just wrapped up an initial playthrough of a recent entry, The Red Strings Club. 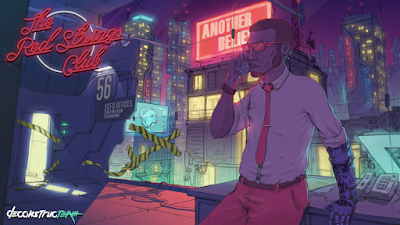 I liked it a lot: I went in cold, not knowing much other than the fact that it was a cyberpunk bartending game and that several of my online pals had enjoyed it, so if you'd like to be similarly surprised, you might want to stop reading now. I'll start off by doing the annoying thing of comparing this game to other games. The setting and concerns of TRSC reminded me a lot of Read Only Memories, another recent pixel-y retro-style adventure game. Both titles are very interested in transhumanism, focusing on the augmentation aspects of cyberpunk: not so much about hacking into banks to steal money, but altering our own bodies and minds to guide our own evolution and transform ourselves into new beings. TRSC puts a lot of emphasis on the moral questions raised by this. Its protagonists include both heavily-augmented and unaugmented people, and you talk, argue, and reflect on myriad concerns. On the whole, I liked this game more than ROM, though I can't totally put my finger on why. The interface is a bit less cutesy, the pixels slightly higher-resolution, the characters felt a bit more well-rounded, the philosophical queries a little more open-ended and urgent. Both games have great casts with diverse representation; for better or worse, the people in TRSC seem less centered in their identities, and by the time you learn their category you've already gotten to know them as a person, rather than the other way around. Oddly enough, the game I found myself thinking of most often is another one that's now about thirty years old: Manhunter, an obscure adventure game from Sierra. The games themselves aren't all that similar in story and genre, but TRSC reminded me of this odd era in adventure games where interfaces and gameplay would vary wildly throughout the course of a single game. You're introduced pretty early on to the mechanics in TRSC - mix some drinks for your patrons, then use the moods they inflict to question them closely and glean information. But almost immediately we shift into another game, using a lathe to craft neural implants; then there's a sorta turn-based side-scrolling hostage-freeing mini-game; and a delightful sequence of social engineering. You are just starting to get good at one type of gameplay when another one comes along. I like that! I like it a lot! It keeps the game feeling fresh and engaging, instead of grinding things out. But I can see this annoying people; there's probably a reason why modern games tend to stick to a single interface. The core bartending gameplay is... fine. The concept is nicely whimsical. The actual physics felt a bit off to me, though that might have to do with my mouse or something. Everything else felt better to me. The dialogues are interesting (and, in a note I didn't realize until near the very end, each character's dominant color subtly appears at the bottom of their speech bubble). The lathe felt a bit more natural than the mixing, though I was a bit confused at first about how I was supposed to use it. But the way the bartending interacts with the dialogue? That is excellent. I rarely experimented with alternate moods in the same conversation, but from the little I saw it made a huge difference. It also seems logical; plenty of times I failed to get the information I was after, but I always realized in retrospect "Oh, I should have switched up drinks before asking this follow-up." There's great strategy here, but the strategy is based in intuition, not in empiricism like most games are. The people you chat with are an interesting and extremely varied lot. A few of them felt very thinly sketched or confusing; I'm thinking in particular of the supernatural skull guy. It would make for an effective introduction as part of a long-running series, but felt underdeveloped for a game of this length. That's an exception, though. In general, each patron of the bar is engaging and surprisingly three-dimensional. Everybody felt distinct from one another, and I was able to easily track and differentiate them even with longish breaks between play sessions. That's due to their voices, but also some surprisingly effective pixel animations: the way people stride into the bar and perch on the stool speaks volumes about their personalities. The conversations seem to also be the main source of choice, consequences and reactivity in the game. I think I spotted a few converging branches - every once in a while someone will say something like "Oh, you haven't figured out X yet? Let me fill you in" - but it seems to be a very impressive latticework of informational exchange. Facts you glean in earlier conversations will color later ones, choices you make in other gameplay sections will come back to affect the dialogue (and vice versa), with everything feeling natural and realistic. Pleasingly, you can't really "fail" any part of the game - if you mess up a drink or the lathe you can just toss it out and start over - so the only negative consequences you will suffer are due to your conscious decisions, not mouse jiggling. It feels like there's a ton of reactivity in this game. As someone who has faked a similar system, I'm curious just how reactive it actually is, especially whether the ending can vary. I feel like I got part of the way to a good ending, with Brandeis resisting the CEO, but it ended in an incredibly sad (but beautiful and heartfelt) scene. It seems like an earlier choice of mine could have steered events in a happier direction, and I'm very curious whether that's actually true; as soon as I publish this post I'll do another playthrough or hop online to check. I'm in awe of the game's storytelling, and especially its fantastic move from the general to the specific. Abstractly saying "We shouldn't brainwash people to stop murder" is easy. Watching a partner get killed is hard. That moment of being confronted with the living example of your bloodless proclamation explodes your brain. This reminded me a little of the cruel ending to Before The Storm, except this time I felt like I was the one responsible. This sudden torque forces you to re-examine not only your in-game decisions, but your real-world values as well. I continue to be amazed at the incredibly heartfelt, creative experiences small teams can create. And also at the surprisingly varied topics that cyberpunk can explore! Even though it seems like a niche genre, it opens up a huge area to explore that speaks to our current world and the world we may soon choose to inhabit. I enjoy writing up these reviews, or posts, or whatever I should call it when I write some stream-of-consciousness text about a book I just finished. I have a hard time with short stories, though. I enjoy reading these collections, but generally walk away just thinking "Those were good!" and/or "Each story was different from the other! ", without much else to say that would motivate me to write something up. 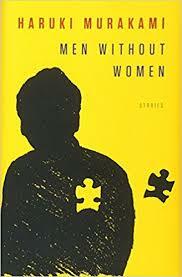 That's kind of how I feel about Men Without Women, the most recent tome from Haruki Murakami that I've read. But since I frequently claim him as one of my favorite authors, I feel like I should put something up here for completeness sake. This is definitely one of the more accurate titles I've seen to a short story collection. The final story is called "Men Without Women," but every single story in here features a male protagonist who is losing, has lost, and/or is mourning a particular woman. As is so common in Murakami, the men are almost always passive, and it is the woman who initiates the act of loss, generally by dying or sleeping with another man. Apart from that, they're fairly varied. Some are more reflective, others more focused; some are narrated directly, others by distant characters recounting their own stories. Reading them all back to back like this does make it kind of hard to ignore some of Murakami's ticks. A lot of those are pleasant eccentricities that I've come to love: his fondness for cats, for disappearances, for moons, for ears. But it also emphasizes his history of presenting women as inhuman characters. They're not bad: he loves and admires women, granting them talents and powers beyond the reach of his apathetic male heroes. But he introduces them and treats them like creatures, strange animals or divine messengers, who may understand the souls of mankind but are unknowable in return. There's an odd and, frankly, unsettling way his male characters think about women, more as a scientific problem to be solved or a source of inspiration than as another soul, a sentient human with whom to commune. What's especially odd about this is that I feel like Murakami has gotten a lot better on this front lately. In particular, Aomame from 1Q84 is one of my all-time favorite Murakami characters and seemed to completely break the mold from his earlier work, as an awesome point-of-view character with a rich interior life, her own ambitions and shortcomings. The women here feel like a massive step back, to the point where I wondered if this was a belated release of earlier work of his. Judging from the copyright page, it isn't, and all these stories came out in the last several years. So, anyways. That kind of kept me from being able to fully enjoy most of these stories, which probably says more about me than about the book; I doubt it would have bothered me much when I first started getting into Murakami over a decade ago. There is one story here that I absolutely loved, called Kino. It really does seem like a greatest hits of Murakami-isms, down to the jazz records and unexplained snakes and relentless door-knocking (which simultaneously evokes and inverts a similar scene in 1Q84). It has the same, uh, (frantically tries to think of a synonym for "regressive") simplistic relational perspective that bugged me in the other stories, but in general it is so good and pushes so many of my buttons that I can embrace it. Conceptually, Samsa In Love is especially fun, thanks to its delicious conceit: a cockroach wakes from troubled dreams to discover that it has been transformed into Gregor Samsa. I quite enjoyed this one, which is tarnished slightly by, you guessed it, treating its lone female character as just a foil for its hapless male protagonist, but the concept is strong enough to keep it worthwhile for me. I guess that reading this has reminded me of something that I knew before: Murakami's short stories are probably my least favorite forms of his writing. They can still be really good, but, with a few memorable exceptions like The Little Green Monster, Super-Frog Saves Tokyo and The Rise And Fall Of Sharpie Cakes, they don't strike me nearly as strongly as his novels and longer-form nonfiction. Even by those standards, Men Without Women is probably towards the bottom of the list for me. Worth reading, but probably more for completionists than for curious newcomers. I'm in kind of a weird position these days. I'm fortunate enough to have accumulated a bit of a nest egg and have enjoyed learning how to nurture it: practicing frugality, sound investment strategies, simple financial planning. Over the years I have started to dip into some slightly more esoteric topics like tax efficient fund placement and portfolio management. At the same time, I'm increasingly skeptical of our financial system, investment, and, honestly, American capitalism in general. With this odd confluence of interests, I've found John Bogle a refreshing voice. He has an impeccable background to speak on financial issues: he founded Vanguard, created the world's first index mutual fund, and today is a sort of emeritus godfather to the company overseeing more than five trillion dollars of investors' money. But, as I learned while reading Enough., he is deeply distressed at the state of the financial world, and has been more forceful than almost anyone in calling for its reform. And not just forceful: articulate and detailed, using his insider's knowledge to point out where the bodies are buried. I'd been meaning to follow up on Enough., and was drawn to the fiery title of one of his earlier books, The Battle for the Soul of Capitalism. I'd picked it up imagining that it might question the roots of capitalism. It doesn't. Bogle is a true believer in free markets and takes the rightness of capitalism for granted. He is a prophet in his own country, speaking to those who share the same fundamental beliefs. In retrospect this totally makes sense: of course the founder of an investment company would be fervently devoted to capitalism. The title is really about freeing a virtuous soul from the carapace encrusting it, not about redeeming a damned soul. The book also ended up being more technical than I expected. That was a good thing in some ways: it includes some really clear explanations of concepts that I hadn't fully grasped before, like how to calculate a stock's fundamental expected return (combine its current dividend yield with earnings growth). But, since the book was written more than a decade ago, much of the technical detail is now irrelevant. The Battle for the Soul of Capitalism was published after the dot-com bust but before the global financial crisis, and for better and worse he proved to be very prescient in many of the alarms he sounded. Several of his specific policy suggestions were eventually addressed by the Obama administration or by shifts in the market. Earnings guidance from management is not as big a factor in 2018 as it was in 2005. Accounting standards seem to have improved, with stronger divisions between traditional accounting and consulting. More corporate boards are independent and it has become rarer for CEOs to also serve as chairmen. But many of the issues Bogle flags have gotten even worse in the past decade. High on this list is short-term trading: we now have high-frequency trading, which is causing unprecedented levels of churn and bizarre volatility. The details of each domain are different. Corporate America has been taken captive by managers who behave like owners: instead of acting as stewards for their public investors, they run the companies for their own private benefit, granting themselves obscene compensation and resisting efforts at oversight, using accounting chicanery to defraud pension funds and claim unrealistic but lucrative profits. Investment America charges outrageous fees for abysmal performance, skimming enormous sums from their clients, promoting schemes that maximize their company's take rather than their customers' returns. And mutual fund America is a passive giant, holding a dominant portion of the country's companies but unwilling to use its power to advocate for its investors' interests. Stepping back from the details, though, I think the core problem Bogle is pointing out is people caring about the company they work for, as opposed to just their own self-interest. Companies that are still run by their original founders or family members tend to behave rather well: they care about what they've created and have an emotional incentive to see it remain strong. In the vast majority of cases, though, a CEO is paid with other peoples' money and is continuing someone else's legacy. In those circumstances, it's understandable that managers will mostly want to enrich themselves, and that's the seed of the problem Bogle identifies in all three of these sections. But! It isn't at all unique for managers to look after their own interests. Stockholders, after all, are also motivated to enrich themselves. I mean, if I own stock in Caterpillar, I don't really care all that much about what Caterpillar does, I mostly care whether Caterpillar makes me money. Bogle thinks that its acceptable for stockholders to demand profit through the shares they hold, but it isn't acceptable for managers to demand profit through the position they hold. Again, this is something he takes for granted and that's axiomatic for a capitalist, but it struck me many times while reading this. If greed is the root problem, then apathy is what's preventing a solution. There are too many stockholders, too much intermediation, too little connection between the decisions made in the boardroom and the attention of the real owners. I thought this was very ironic, since Bogle almost single-handledly transitioned the American stock market into the super-diversified form it's in today. When he first started, an individual investor might have bought a number of shares in Coca-Cola, and actually cared about the firm: followed its movements, voted for directors, written letters to shareholder meetings. Now, an investor will own an infinitesimal slice in every company in America. That's largely a good thing for the investor, as it means perfect diversification and broad exposure to the whole market, but it destroys the opportunity for engaged ownership and corporate citizenship that Bogle seems to crave. I thought Bogle's attack on the mutual fund industry was particularly interesting. He's admittedly biased, but he makes an incontrovertible case that publicly-held mutual funds perform far worse than privately-held ones. But... doesn't that seem like it would apply to other companies as well? Why are we buying stocks at all? Why are we investing in public companies if they do so poorly? He doesn't examine this question - again, it's a core principle that he takes for granted - but two possibilities occur to me. The first relates to Bogle's belief in professions versus business, an idea he touches on here and deals with at greater length in Enough. In Bogle's view, a profession isn't primarily about making money, it's a prestigious and important element in civil society. He considers professions like law, architecture, and medicine to fit this category. (Think, also, of the old cachet of owning a newspaper: until a few decades ago, it was seen as a mark of prestige and civic engagement, not as an opportunity for creating wealth.) Business is great for making widgets: if you're creating products to sell, or providing a luxury service, then it's right and natural for you to seek high returns and charge what the market will bear. But a profession should remain primarily focused on their calling: they need to make enough money to support themselves and keep their office strong, but profit should not be the primary goal. With this way of thinking, then, publicly traded companies can be a good investment, but not every type of company should be publicly traded. Companies that primarily provide professional services should remain closely held, so they can keep their mission central and not be swayed by the market's demands for higher returns. The other possibility is that public corporations are just bad investments. The best businesses will be closely held, run by the original founders for their own benefit, or as part of a tight legacy like a family, mutual enthusiasts (e.g. REI), etc. As soon as a business opens up to all investors, the original passion and mission will inevitably fade, second-generation managers will focus on their own interests, and profitability will slide. To adapt a phrase, publicly traded corporations are the worst form of investment, other than all of the other forms we've tried: it's the one form that allows us to easily buy a slice of a company, even if the fact we're allowed to buy into it means it won't be compelling. Another way to look at it: you would have the most opportunity for upside by personally starting a business, or by directly investing into a private business. But those actions are extremely risky and require a great deal of time and attention from you. We're sacrificing some profit from those and accepting a lower return in exchange for lower risk and more stability. A Fortune 500 company is less likely to fail than your new cafe. Again, though, all of the above assumes that the primary goal of a business is to maximize profit for the owner. 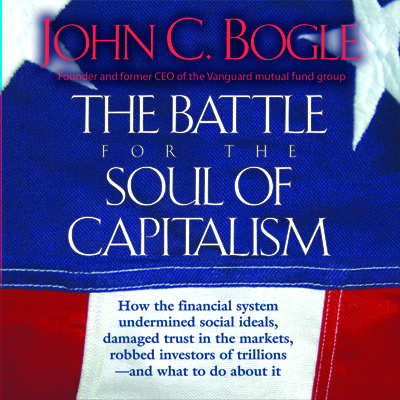 Bogle's main thesis is that "owners capitalism" has been supplanted by "managers capitalism". In the former, a business is run for the benefit of its owners. This doesn't mean accounting shenanigans or short-sighted cost-cutting: it means building a strong, trusted, stable, enduring business that will continue for a century or more, steadily growing and generating profits for its stockholders. In "Managers capitalism", the business is run for the benefit of the CEO and other top officers: they are theoretically stewards who are employees of the stockholders, but instead view the company as their own property to milk, engaging in short-term maneuvers that will boost their personal compensation during their years at the company instead of making decisions that will strengthen it for years to come. What's missing in the above tension between the owners and the managers? The workers! There are zero words in the book about the value generated by workers and whether they deserve a share, let alone how large that share should be. Bogle is concerned about how profit is distributed, but (in my opinion) it's ultimately the workers who create that value. The owners front the capital that provides opportunity, the managers organize the resources and ensure quality, but it's the workers who actually, uh, work and create economic value. At the end of the day, Bogle is a true believer in capitalism, but does not believe that capitalism is the answer to every problem. Oddly enough, the more important an enterprise is, the less likely that it should be run as a business. Crucial professions should be run for the sake of their mission and not to maximize profit. Capitalism by itself is not virtuous, just (in his view) a proven effective means of generating wealth and distributing that wealth to a group of people. Managers capitalism is still capitalism: managers are acting rationally to maximize their income. In Bogle's view, though, managers capitalism is a bad, dangerous, and inferior form of capitalism that does not produce broad societal benefits. The truth is that most business measurements are inherently short-term in nature. Far more durable qualities drive a corporation's success over the long term. While they cannot be measured, such traits as character, integrity, enthusiasm, conviction, and passion are every bit as important to a firm's success as precise measurements. Human beings are the prime instruments for implementing a corporation's strategy. Other things being equal (of course, they never are), if those who serve the corporation are inspired, motivated, cooperative, diligent, ethical, and creative, the stockholders will be well served. I thought this was very well-said. He develops this point further in Enough. : pay attention to the things that count, not the things that can be counted. Also, note that he accurately identifies employees as the primary source of business success. It seems like they should have a seat at the table. The companies that will lead the way in their industries over the long term will be those that have made their earnings growth not the objective of their corporate strategy, but the consequence of their corporate performance. Another keen observation that I first encountered in Enough. Do not focus on improving a business' metrics: focus on improving the business, and the metrics will follow. Metrics should measure success, not drive it. Looked at from yet another perspective, the investor put up 100 percent of the capital and assumed 100 percent of the risk, but collected only 57 percent of the profit. The mutual fund management and distribution system put up zero percent of the capital and assumed zero percent of the risk, but collected 43 percent of the return. If this example does not represent the paradigm of the triumph of managers' capitalism over owners' capitalism in mutual fund America, it is hard to imagine what would. Almost half of the fund owners' money was siphoned away by those who quite literally had everything to gain and nothing to lose. Definitely good for investors to consider. I have to say, though, that I've never been too happy with the (nearly universal) statement that owners assume all the risk. It's only their capital that's at risk. When a company goes under, the owners will lose their capital, but the people who work for that company will be far more devastated: losing their jobs, healthcare, social bonds, professional edge. That isn't especially relevant to the specific case of mutual fund advisors he's discussing here, but it's a formulation that I think bears closer consideration than it receives. Consider too how the profession of public accounting became dominated by the business of consulting. Think about the increasing dominance of "state" (publishing) over "church" (editorial) in journalism, as well as about the rise of commercialism in law and architecture that has eroded traditional standards of conduct. In all, professional relationships with clients have been increasingly recast as business relationships with customers. In a world where every use of services is seen as a customer, every provider of services becomes a seller. When a provider becomes a hammer, the customer becomes a nail. Please don't think me naive. I'm fully aware that every profession has elements of a business. Indeed, if revenues fail to exceed expenses, no organization - even the most noble of faith-based institutions - will long exist. But as so many of our nation's proudest professions - including trusteeship, medicine, accounting, journalism, law, and architecture - gradually shift their traditional balance away from that of trusted profession and toward that of commercial enterprise, the human beings who rely on those services are the losers. ... Roger Lowenstein... bemoaning the loss of "Calvinist rectitude" that had its roots in "the very Old World notions of integrity, ethics, and unyielding loyalty to the customer." "America's professions," he wrote," have become crassly commercial... with accounting firms sponsoring golf tournaments." ... And so it is as well in the trusteeship of other people's money. Terrific explanation of the role of professional services in the landscape of America. I tend to be skeptical when people write about how bad things are today, that stuff was so much better in the good old days. But I do think there has been a sea change in America starting with the greed-driven 1980s, and that force is behind the shifts that distress Bogle here. It feels like we might be on the cusp of a reexamination of the social compact, which might seem like it flies in the face of Bogle's Republican instincts but could restore the more mission-oriented society he longs for. When ethical values go out the window and service to those whom we are duty-bound to serve is superseded by service to self, the whole idea of the capitalism that has been a moving force in the creation of our society's abundance is soured... Rather than prizing financial profit above all else, we must work to become a society... once again celebrating achievement over money, character over charisma, substance over form, virtue over prestige. A nice summation of Bogle's worldview. Capitalism has helped generate our abundance, but isn't inherently virtuous, and must be closely monitored and guided to achieve good ends. Numbers are only numbers, quantities on a scoreboard that are only one measure - and, truth be told, hardly the best measure - of an enterprise. Put the greater interest of of others and the dignity of our own characters first, and our own self-interest second; put enterprise and animal spirits first, and managing for the bottom line second; put the joy of creating and the will to conquer first, and the mindless conformity of greed last. Another good recap of the proper role of measurements. Focus on what counts, not on what can be counted. Today's reliance on tax-advantaged savings, however valuable to our well-to-do citizens who can afford it, does little but further raise the ever-widening gap between our wealthiest families and our families most in need. This growing division of wealth is not only a destructive force leading toward the creation of a "two nation" society - rich versus poor - but represents an unwelcome departure from the basic principles of our Declaration of Independence and our Constitution. This was a bit of a tangent from the main thrust of the book, but I found it very interesting. It's super-weird that someone as wealthy and connected as Bogle would sound like Bernie Sanders (way back in 2005!). The point he's getting at here is that our tax code is stacked to favor the already-wealthy. He doesn't proscribe any specific policy recommendations on this particular topic, but judging from his comments elsewhere in the book, it sounds like he favors a strong Social Security system that would provide a secure retirement to all of our citizens. Anyways! I feel like this write-up has been more scattered than usual, which doesn't reflect the book itself. It's very well-organized and cogent, steadfastly building the thesis and showing how it applies to all of these aspects of our business and financial systems. I don't think I'd necessarily recommend this book; the most interesting aspects of it are more fully developed and better presented in Enough. But I don't regret reading it: despite some of the specific topical references now being outdated, the core problems Bogle identifies sadly still remain, and it's refreshing to see such a detailed condemnation paired with practical suggestions for fixes. To be fair, it sometimes feels like Bogle is writing to an audience of about a dozen people: unless you're the SEC chairman, a senator on the Finance Committee, or the President, you probably won't be in a position to implement the policy changes he wants. But I think all of us who participate in this economy can benefit from a clearer understanding of the systemic problems it faces and the forces that will need to be reconciled, hopefully sooner rather than later. It's my favorite time of year: California election time! Jungle primaries turn otherwise rote partisan elections into compelling matchups, and our ballot initiative process is an often-frustrating but always-entertaining flavor of direct democracy. I legitimately love Californian democracy. This election is vote-by-mail-only, which is incredibly convenient: the state mails us ballots and in-depth pamphlets giving lots of information on the candidates and propositions, and we can research, vote, and return at our leisure. But, for folks who for some reason can't easily vote by mail, we're running early in-person voting centers at a variety of times and locations, making it easier for people to vote early regardless of their work or family situation. It's ridiculous, but awesome, and gives a political nerd like me a ton of material to chew over. Upholding my longstanding disregard for the sacred secrecy of the ballot box, here is how I'm voting this year. Governor: John Chiang with a bullet. He is by far my preferred candidate. Realistically, this will end up being Newsom and someone else, and I hope I get a good choice come November. Lieutenant Governor: Gayle McLaughlin. Several good choices here, but I've been very impressed by McLaughlin's progressive platform. The office holds relatively little power, which I think is an even better reason to support a bold choice here. Attorney General: Xavier Bercerra. I've been impressed at all his actions in the few months he's held office. This will be a crucial position for at least the next two years. 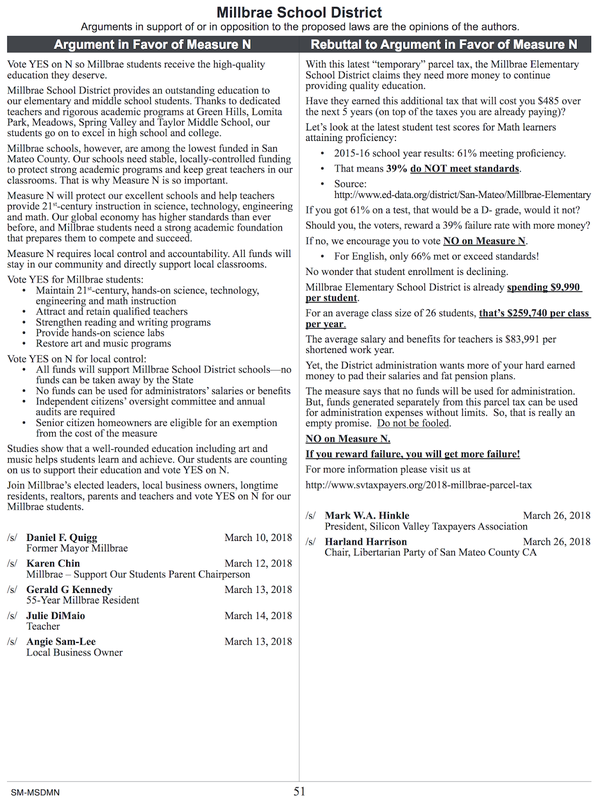 Board of Equalization: I'm voting Cathleen Galgiani, but Mahlia Cohen would also be a fantastic choice. Senator: Kevin de León. I'm sure we'll see this matchup again in the fall, and I reserve the right to switch to Dianne Feinstein if she can convince me that her newfound principles are sincere, but she'll have to overcome years of bad action on surveillance, war, and censorship. That said, she's been a consistent champion of gun control legislation and some other positions I agree with, so I'd like to be convinced. Assessor / Clerk / Recorder: Mark Church. He seems to be doing a good job at getting me my voter information pamphlet, at least! District Attorney: Vote deliberately withheld. This race will probably get much more interesting in the next cycle thanks to the ACLU's terrific Meet Your DA campaign. For now, I'm sufficiently unhappy with the incumbent to withhold my vote. 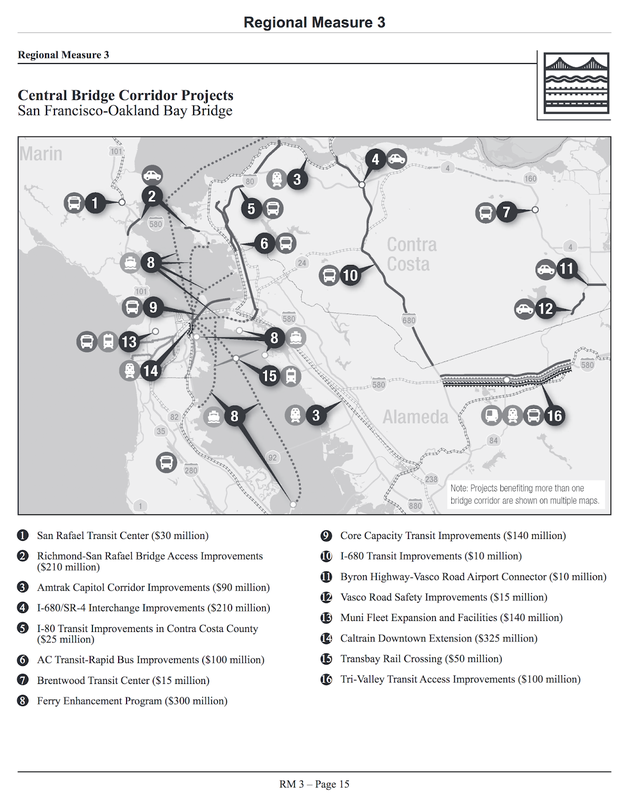 Prop 68 (Water bonds): Yes. 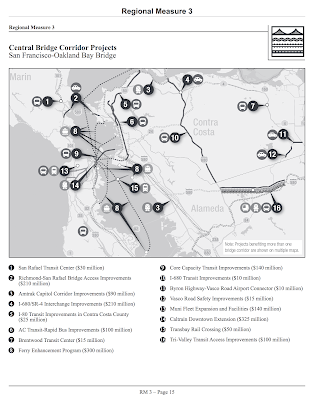 Prop 69 (Spend gas tax on roads): Nice. Prop 70 (Make it harder to spend cap-and-trade money): Hard NO. 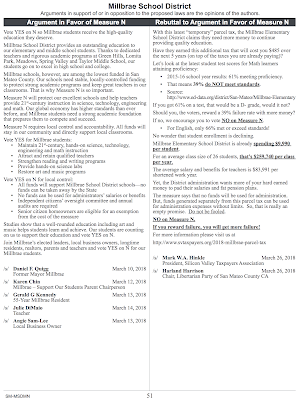 Prop 71 (Make sure all votes are counted before ballot measures go into effect): Yes. Prop 72 (Encourage rainwater upgrades on private homes): Yes. The fact that this needs to be voted on is an argument against doing this sort of policy via initiatives in the first place, as this is fixing an oversight from a previous initiative. Let the legislature legislate, dangit! I selected many of the local-race picks based on endorsements by people and organizations I trust. State propositions, local measures, and marquee races are driven by my personal political beliefs. That's it for this cycle! I'm really curious if the increased activism around politics at the national level translates into greater involvement in local and regional issues. If so, that will be a pretty great silver lining to the dark times in which we're living. Finding a new series is always a fun feeling. 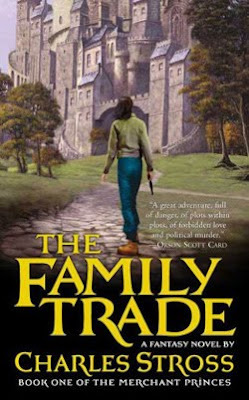 I picked up The Family Trade on a recommendation from Nicola Griffith, though I've previously read and enjoyed other books from Charles Stross before. The Family Trade fills a different genre and has a distinct voice. It took me a little while to get acclimated, but once I hit my stride, I enjoyed it a lot. The book was written and is set in the aftermath of the dot-com collapse and the 9/11 attacks, as the Department of Homeland Security and the War on Terror are ramping up. The protagonist, Miriam, is an efficiently-sketched and likeable character. A thirty-something divorcee, she was trained as a medical doctor but currently works as a journalist for a business magazine covering high-tech companies, particularly biomedical firms. But, it turns out, she is also the heir to an extended family of travelers who can move between parallel universes. As the world of corporate shenanigans and drug trafficking heats up, she is thrown into an even more startling world of medieval culture, with knights riding horses, wearing shining armor, and wielding broadswords and M-16s. The overall vibe of the book veers towards fantasy, but it isn't, really. There's a single fantastic thing: a select group of people have inherited a genetic trait that allows them to move between two worlds. Otherwise, there's no magic, prophecy, monsters, or other traditional fantasy ephemera. It might be more accurate to describe it as alternate history: the physical world is still the same, and civilizations started out at roughly the same places (with a European wave settling in North America), but has diverged significantly: a different religion (worshiping the "Sky Father"), and general social stagnation keeping the populace impoverished in a rigid feudal system. This is the first book in a series, and honestly kind of feels like it ends in the middle of a story. Apparently there's a new omnibus edition that collects the first two books together; I suspect that will be a more satisfying way to approach this story. As a stand-alone novel, The Family Trade is a fun read but can feel rather loose. Multiple interesting characters are introduced, receive a good amount of setup, and then disappear before doing much. I've always enjoyed Stross's ideas, and that continues to be true here. I sometimes have trouble with his writing. I never really got into the second-person narration he deployed in the Halting State books. Here, his dialogue is... very snappy and fun, but super quippy. Nobody talks like this. It feels like almost every sentence someone speaks could be used as the quotable tagline from a movie trailer. It's entertaining, but took some getting used to. I'm definitely intrigued by the balls that have been set in motion, and am looking forward to continuing this story, sooner rather than later. These books look like fairly quick reads, so I doubt I'll review each individual entry. Barring any unusual development, I'll likely post one big retrospective once I get to the end. I suspect there will be some more developments along the way, it'll be interesting to see where the story ends up.